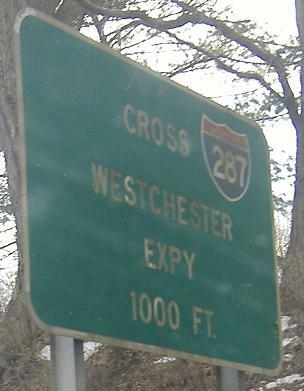 US 1 earns its freedom from I-95 at Exit 2B, and submits to the Cross Bronx Expressway in order to gain passage into New Jersey. 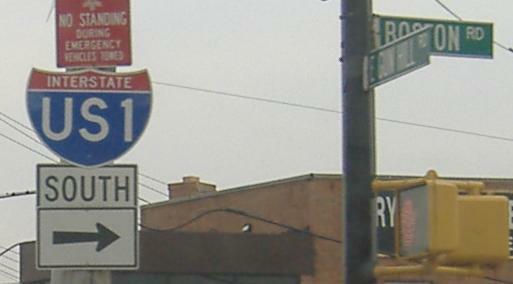 Once upon a time, long long ago, US 1 went through Manhattan and used the Holland Tunnel. In the background of the first photo is Bronx River Parkway, and it's off the Parkway's southbound Exit 6 (which includes the Bronx Zoo!) that one would see the sign in the second photo. With 1 being the narrowest possible shield number, the superwide shield looks ludicrous, and that's why I present it proudly to you. Old shields in the vicinity of the wide shields, at Fordham Road/Pelham Parkway. 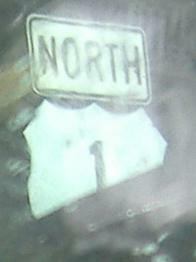 The other event that happens right here is that US 1 turns from Boston Rd. 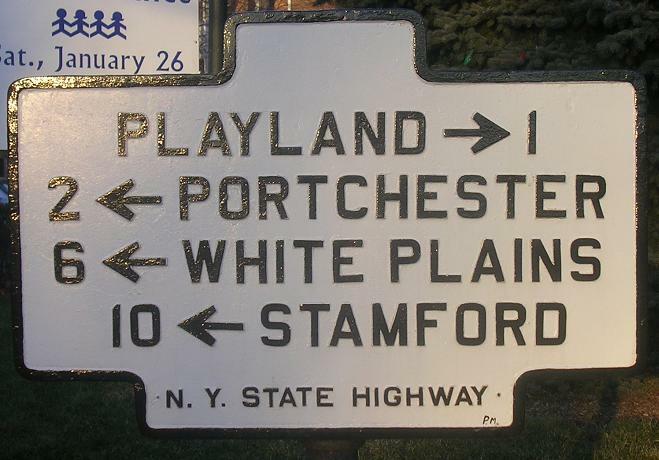 (northeast-southwest) onto Fordham (east-west) and jogs on over to Webster Ave., where the first non-header photo on this page can be found. I'm hiding Interstate US1 right here where it belongs because if you scroll too quickly, you don't deserve to see what I hereby dub the best shield error ever. 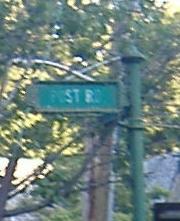 It beats the square shields of Tonawanda by just a tad. Gun Hill Road EB, and I compliment the contractor because he DID indeed provide a US 1 shield. 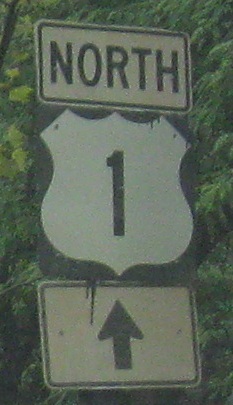 US 1 SB at the southern beginning of NY 22. 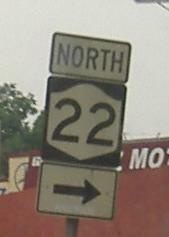 22 used to multiplex with US 1 through the Bronx and then followed Park Avenue into the heart of Manhattan. 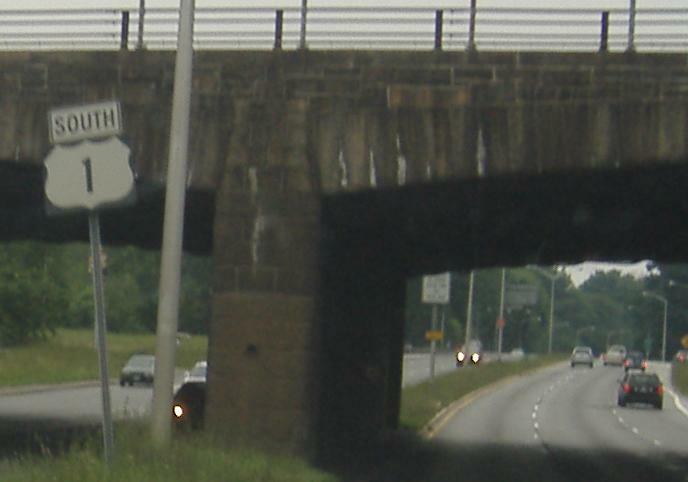 Now northbound, courtesy Doug Kerr. 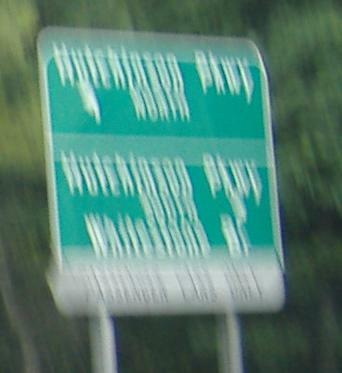 Pardon my blur, but I'd rather not stop too long on a busy multilane arterial. SB and NB, respectively. 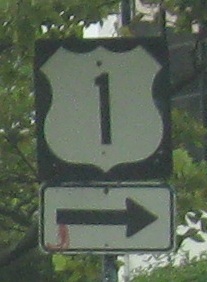 Old Pelham Manor street sign near I-95 Exit 15. 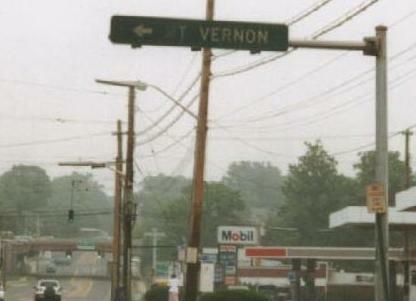 SB and overhead in the heart of Pelham Manor at Pelhamdale Rd., since replaced. 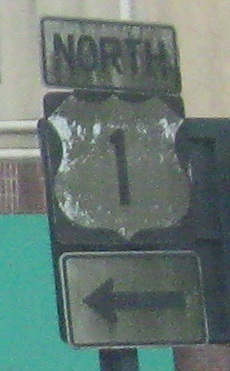 Cedar St. SB from I-95 Exit 16, the last exit before the northbound toll. 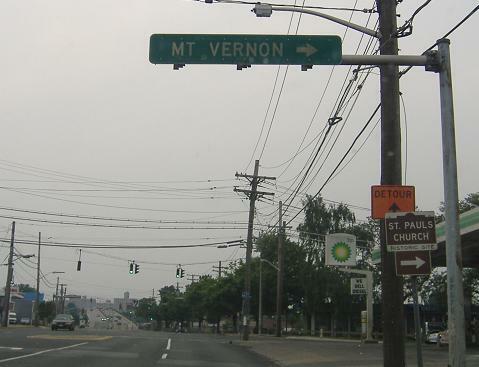 US 1 SB and NB are far enough apart in New Rochelle that Cedar St. has a major intermediate intersection at Harrison St., and still hasn't gotten to US 1 NB by the third photo. 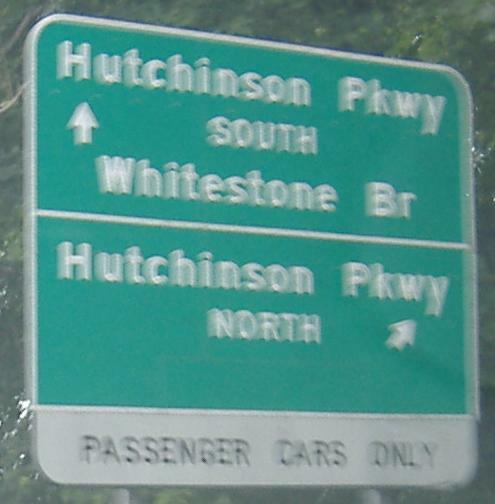 Old shields on NY 120 SB, but not as old as the white sign before them. Courtesy John Krakoff, it's "just off of US 1." 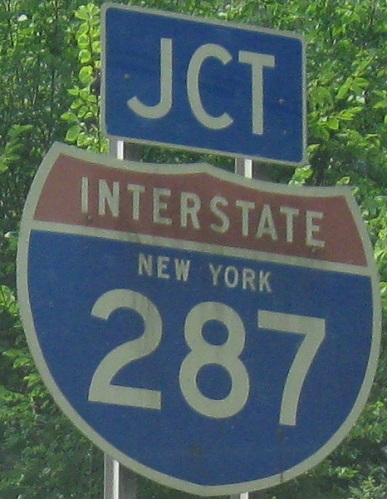 I wonder whether the I-287 was intended to be placed there or if it's an afterthought... trust my instincts, you say? 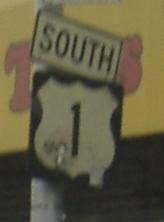 Southbound. Still southbound, this deserves a separate caption for being both old and oddly shaped.